1. 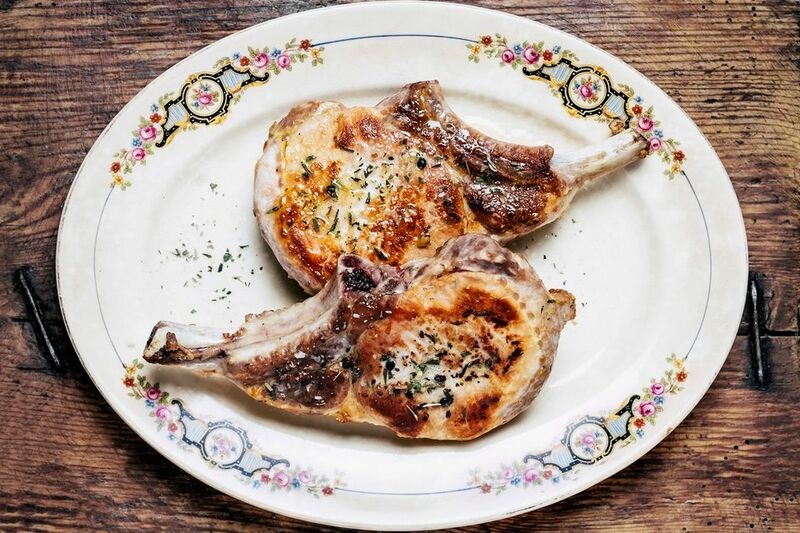 Season pork chops to taste and dredge in flour. Lightly brown in oil in a skillet or sauté pan and place in slow cooker; top with onion slices. 2. Dissolve or soften bouillon in hot water and pour over chops. 3. Cook on low 7-8 hours. 5. Turn slow cooker to high for 15-30 minutes or until liquid is slightly thickened. 6. Serve with rice, noodles or potatoes as you choose. The sour cream sauce is delicious!